HOME buyers are often advised to come up with at least a 20 percent down payment, or face the likely additional expense of private mortgage insurance. But this year, at least, that counsel would not have saved them as much money as in the past. Take, for instance, borrowers who want to buy a $400,000 home, and who have a credit score of 720, which is considered very good. In late August, such borrowers who had $80,000 saved for a 20 percent down payment would have qualified for a 4.875 percent rate on a 30-year fixed-rate loan, according to Regina Mincey-Garlin, an owner of RCG Mortgage in Montclair, N.J. But that was also the rate offered to borrowers putting down only 5 percent, and therefore required to have private mortgage insurance. Oddly, those who put down 25 percent, or $100,000, were saddled with a higher interest rate, 5.375 percent, Ms. Mincey-Garlin said. The underwriting rules from Fannie Mae and Freddie Mac consider borrowers in the 20 to 25 percent down payment category to be the riskiest, in part because they are not required to carry private mortgage insurance. 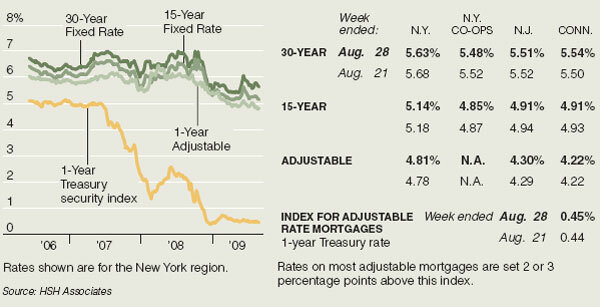 At higher down payments, however, rates begin to fall. Amy Bonitatibus, a spokeswoman for Fannie Mae, said that the policy wasn’t meant to encourage lower down payments, which some have seen as the main culprit in the home foreclosure crisis. “It’s just a less risky loan from our point of view,” Ms. Bonitatibus said, because the lender’s exposure to foreclosure losses is largely eliminated by mortgage insurance. She said the policy didn’t benefit only Fannie Mae and lenders that sell loans to the company. Borrowers benefit too, she said, especially those who would otherwise have had to stretch for a bigger down payment and leave themselves with no financial cushion. These borrowers can instead save the extra cash they might have put toward a bigger down payment, keeping it handy for emergencies. Besides, Ms. Bonitatibus noted, as soon as borrowers pay off enough of their loan principal to establish a 20 percent equity position in the home mortgage, insurance is no longer required. While borrowers who take out mortgage insurance can indeed enjoy lower interest rates, their monthly payments will be larger than those who made the larger down payments, because the loan itself is bigger. Ms. Mincey-Garlin of RCG Mortgage says she still advises borrowers to make a down payment as large as they can, because the increased equity will help them in the long term. She also suggests that borrowers maintain savings equivalent to at least nine months of mortgage payments. Those who choose to make a lower down payment in the expectation of terminating their private mortgage insurance after a few years may encounter a harsh surprise, Ms. Mincey-Garlin said. With property values declining, she said, some lenders have balked at releasing borrowers from mortgage insurance.